Studies have found that many chemotherapy drugs will produce multiple side effects and complications in cancer patients, especially in the case of the cardiovascular disease. This study was intended to investigate whether the exercise training intervention could improve the body composition and exercise responses of patients with head and neck (H&N) cancer who are receiving chemotherapy. This is a randomized controlled trial. Eighty-four H&N patients were assigned to sedentary group or exercise group. The data were collected pretraining and posttraining, where the body composition, heart rate (HR), blood pressure (BP), rate-pressure product (RPP), and exercise capacity were measured. Our data reported that body weight and body mass index were decreased after 8 weeks of chemotherapy in the sedentary group but not in the exercise group. The decreased visceral fat and the increased skeletal muscle rate had been found in the exercise group after 8 weeks of training. In addition, in the exercise group, the HR, HR recovery, BP, BP recovery, RPP, and minutes walking distance were better than the sedentary group. Results from this study suggested exercise training significantly improved exercise responses and body composition. 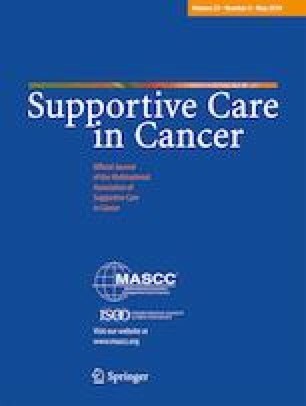 These findings suggested that exercise can help to promote cardiopulmonary fitness and exercise capacity for H&N cancer patients undergoing chemotherapy. Kun-Ling Tsai had full access to all of the data in the study and takes responsibility for the integrity of the data and the accuracy of the data analysis. Study concept and design: Ching-Hsia Hung, Chung-Lan Kao. Acquisition, analysis, or interpretation of data: Wei-Ming Tsai and Shih-Hung Chan. Drafting of the article: Kun-Ling Tsai and Chia-Jui Yen. Critical revision of the article for important intellectual content: Hui-Ching Cheng, Wan Ting Jheng, Yan-Jhen Lu. Obtained funding: Kun-Ling Tsai, Chia-Jui Yen, and Ching-Hsia Hung. Statistical analysis: Chia-Jui Yen, Ching-Hsia Hung, Chung-Lan Kao. Study supervision: Kun-Ling Tsai and Chia-Jui Yen. This study was supported by Ministry of Science and Technology, Taiwan (MOST-106-2314-B-006 -023). The experimental protocol was established, according to the ethical guidelines of the Helsinki Declaration and was approved by the Human Ethics Committee of National Cheng Kung University Hospital Institutional Review Board, Tainan, Taiwan (B-ER-105-102). Written informed consent was obtained from individual or guardian participants.